T-Mobile is known for celebrating Father’s Day by rolling out deals, and this year is no different. Today T-Mobile announced two limited time Buy One, Get One deals. 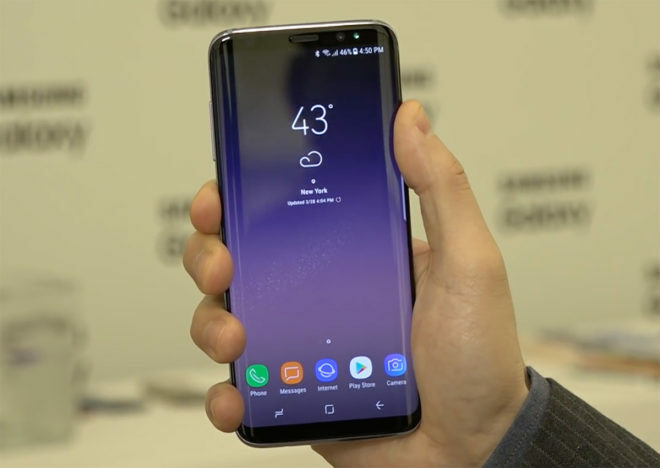 First up, customers can buy a Samsung Galaxy S8 or Galaxy S8+ and get a second S8 or S8+ for free after rebate. You can also choose to buy an LG G6 or LG V20 and get a second G6 or V20 for free if LG is more your style. Whichever manufacturer you choose, you’ll need to add one voice line with unlimited data. This means that existing T-Mobile customers can add a second Simple Choice Unlimited or T-Mobile One line, while new subscribers will need a second T-Mobile One line. Both phones will need to be purchased on EIP, too. You’ll then head to T-Mobile’s promotions hub and enter the promo code 17JUNESAMBOGO if you bought Galaxy phones or 17JUNELGBOGO for the LG devices. If you followed all of these steps, T-Mobile will send you a prepaid MasterCard card to cover the cost of the second device. The value of this card will be up to $790 for the Samsung phones or up to $500 for the LG phones. Pricing for the Samsung Galaxy S8 is set at $30 down and $30 per month for 24 months, or $750. The Galaxy S8+ is $70 down and $30 per month for 24 months for a total of $790, which is $60 less than its normal asking price. The LG G6 is priced at $20 down and $20 per month for 24 months for a total of $500, $150 off its regular price, and the LG V20 is $0 down and $20 per month for 24 months, which is a total of $480. These BOGO deals are available in stores, online, and over the phone. They’re launching today and will be available for a limited time, and as with most limited time deals, T-Mo isn’t saying exactly how long they’ll be available. So if you’re on the fence, you may want to act soon. Why is that a problem? You can pay it off whenever you want. I am just curious why you say that? for the OP to go into “conclusion” and calling this promo a “no deal” because of EIP sounds ridiculous. At the end of the day, you’re getting 2 phones at the price of one. There must be a reason why OP said that… and again who knows what it is. OP might not be qualify to purchase on EIP (credit issues) which this would consider a deal breaker for him/her. I’m just stating the possibility. I don’t see any issues with deals that requires to be on EIP. Just pay a couple months of the EIP and then pay the balance off. Same difference. What I find this as a deal breaker is “when you have to activate a new line to get this deal”. Yes, You can cancel it after you get the rebate card and pay it off, but you are paying for services that you might not need until the rebate card comes. So no one is going into conclusion besides you. I’m just stating the possibility of what OP thinks this promo requires EIP is a bad deal. Can you pay it off with the $790 Mastercard? Can you use the T mobile add a line for half price deal? So in theory you could add two lines for the same price as one, and get 4 phones for the price of 2? P.S. LG is running their free mini projector promo again, and Costco is running a free 32 inch TV, or $200 towards a different Samsung TV when you buy an S8 or S8+. Anyone know if you get to double dip on the free promotions since you are technically buying two? Can you provide a link for that projector promo? I don’t see it on the LG promotions page. Would love to take up this deal again! Go to the LG rebates site. Started today. I went to Costco yesterday and also saw the deal with the S8/S8+ deal with the TV. Semi-off topic, but did anyone else get a free Samsung 360 instead of a GearVR? All the online forms I filled out and the emails I got said it would be a GearVR. I’m definitely fine with it as I already had a GearVR when I bought an S7. I just wasn’t sure if this was a mistake or if they ran out and started giving the camera instead. So just like the sale last month we gotta go with the tmobile one plan and or add a line? Nothing special about this “father’s day deal” since we usually see these type of deals running like every month Lol. Did you do the online sign up? What is the penalty, if any, to cancel after 3-months? A new line for me would be $20/months, so additional $60+fees equal to $75. $500 x 2 = $1,000 x 10% tax in Chicago = $1,100 + $75 lines – $500 rebate = $675 / 2 = $340 net cost per phone. If I cancel, wouldn’t they cancel my free line first? I was told by a rep that you get to keep the free lines as long as you don’t get rid of any lines you had up until that point. Any lines you add after getting the free lines don’t affect it, so you can cancel these lines without losing the free lines. Need new line right? Hope for something like B1 get 2nd 50% or something. Of course T-Mobile’s new 600 mHz spectrum towers will start to be turned on gradually nationwide starting late this year. No manufacturers’ current phones will not be able to use the frequency. Therefore the phones available on this BOGO deal will be obsolescent starting within six months. Not really if ppl have good reception as of now they will still have good reception when 600 MHz is released. Having “good reception as of now” in a specific location (or locations) will not help in areas where people with marginal or no reception might travel to, such as further down a highway, to another small town, further into the boondocks, or deeper inside larger buildings. That is exactly why T-Mobile spent close to 8 BILLION dollars on the recent FCC auction to acquire 600 mHz spectrum..
No thanks, I’ will not buy any phone from the current crop (such as the S8 or G6) until it is capable of performing properly on ALL of T-Mobile’s frequency bands. I was just about to comment about the Samsung deal. They are running two deals. The BOGO for T mobile S8 and S8+, or at least 200 off an unlocked one with a working phone trade in. I have a Galaxy S1 sitting around that still works. Samsung does offer financing if you qualify for their credit so that is an option too. Simple Choice), and don’t need an extra line, I was reluctant to do so. Glad I waited! Snag a pair before it’s too late! Is this deal suggesting weak sales and too much inventory? I would not think Samsung is blowing out this so soon. So can you get the LG projector deal and the BOGO deal at the same time. In the general instructions on the projector it says “Offer cannot be combined with, and is not valid with, any other rebate, promotion, discount, or offer.” I hesitate to apply because I don’t want to lose the other deal. I think that Samsung will blow up with this new version. I didnt want to get the S8, but the Samsung deal with $200 trade in makes this phone for the unlock S8 at a unreal price. So i end up getting it and I love the slim narrow phone. That sounds like someone with a super-old grandfathered plan should do his homework for. The samsung deal for 200$ trade is what made me to purchase it nothing more. Howevever, its better than apple.